"Commencement day, Chapman College, 1986"
Commencement day, Chapman College, Orange, California, May 25, 1986. 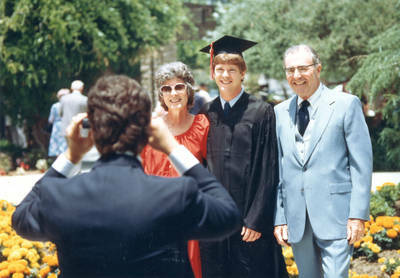 A graduate poses with his family for a photograph. C photographs; 5" x 7"